Give the video time to buffer, and hit the "play" icon to begin. Thanks to Saginaw Valley Equine Clinic and Dr. Morrison for this video. 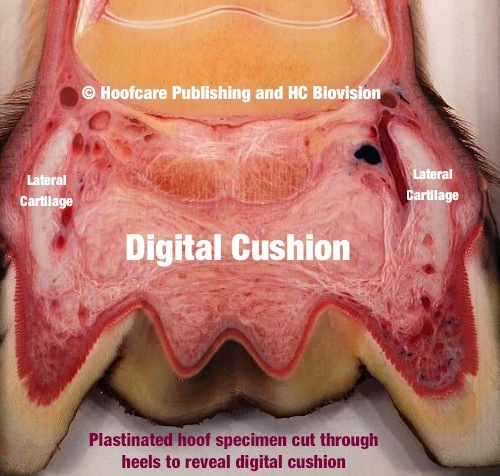 Here's an interesting case that complements an article in the Hoof Blog archives. Watch Dr. Morrison literally put a spring in a clinic horse's step. What happens when farriers are injured or ill and can't work? Their friends in the profession help them, that's what happens. And the American Association of Professional Farriers and Canadian Association of Professional Farriers have joined forces to establish a way to get it officially done for the members of the two associations. The Online Veterinary Anatomy Museum ("OVAM") continues to mature, expand, blossom and amaze, and now British television host (and veterinarian) Mark Evans adds his two cents to the value of this web-based resource of sharable resources with this video feature. 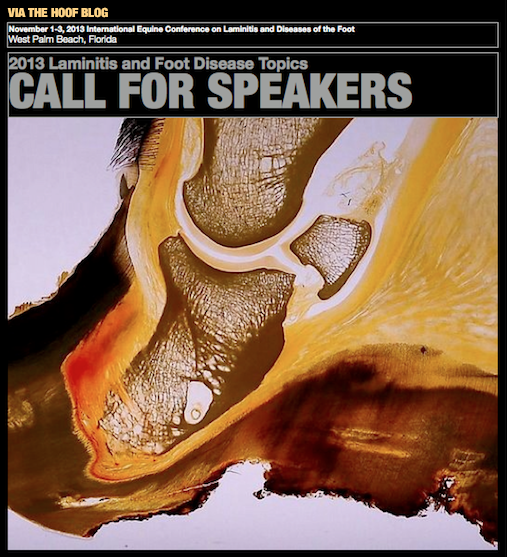 The International Equine Conference on Laminitis and Diseases of the Foot has published its call for abstracts for the 2013 conference, to be held November 1-3, 2013 in West Palm Beach, Florida. The document, visible in this article, can be downloaded for your reference or shared to social media. It's no secret that the Hoof Blog is known almost as widely for launching unusual horse-related videos and commercials as for hoof-related stories. 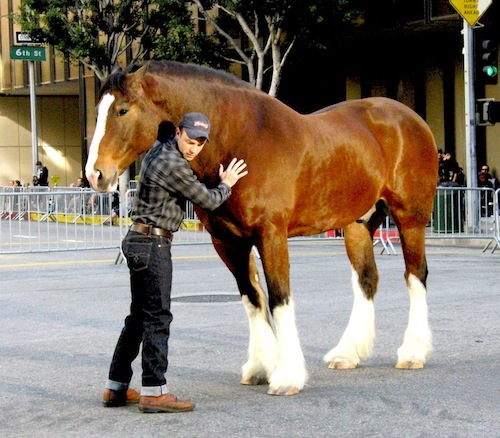 You saw the Budweiser Clydesdale ad here first and now you're seeing the new--and slightly weird--Citroen commercial. As much as I love reading the history of hoofcare and lameness from British and American historical perspectives, it's the other countries and other parts of the world that keep my reading lamp on at night. 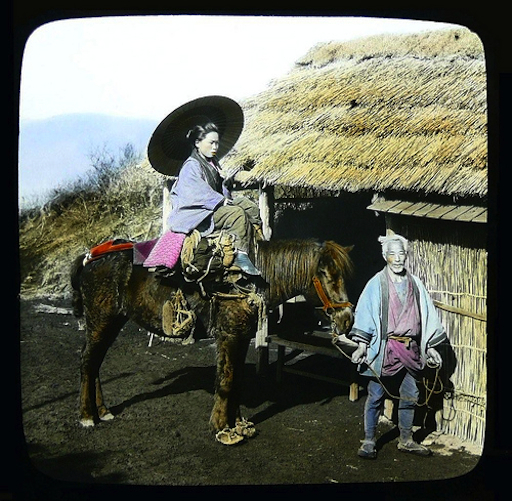 There is so much we don't know about how hooves were cared for in other cultures. From my reading, it almost seems like horseshoes were one of the things that European merchants and explorers brought with them to new lands--and left behind, along with Christianity. They converted the people to Eurocentric religions and their horses to iron shoes. But what were they using before the Europeans showed up, and is there something that we can learn from them? Please wait for the remote video clip to load. Sometimes when bad things happen to good people, it brings out the best in other people. Hoof science turns up in some unexpected places, and it is always a joy to report on it when it does. That was the case earlier this month at the Society for Integrative and Comparative Biology (SICB) annual meeting in San Francisco. Get a new appreciation of the urban and rural horse culture of Cambodia in this short video profiling the recent programs of World Horse Welfare and the FEI Solidarity programs. Farrier Tom Burch and saddler Mark Fisher made the journey to Southeast Asia to help both the poor working ponies and the elite sport horses of the country's expanding equestrian sports scene.